You will never hear it often enough; get your lazy self off that couch and go out! Anywhere will do. Walk around your neighbourhood. Pick up that rusty bicycle and pedal across your town. Start the car and go and have lunch with that friend you keep promising to visit. Check the train schedules and go to the other end of the country. Book a flight and enjoy some sun in a remote, exotic destination. Be daring! In this day and age, travelling has become common-place. From commuting to business trips to vacations, the world population is endlessly moving around. And because of that, travelling has become more accessible, and more affordable, than ever. Gone are the days of meticulous planning. A few mouse clicks and you have booked flights, hotels, rental cars and tours on the other side of the world; add to that the best price available, thanks to all the price-comparison software on offer. Plus, there are fewer formalities to spoil your day. The European Union may have its downsides, but the free circulation of its citizens is definitely not one of them. And, it is quite handy to cross half a dozen borders without the need to exchange currency (typically at ransom-like rates!). So go ahead. Take your loved one for a weekend in Paris. 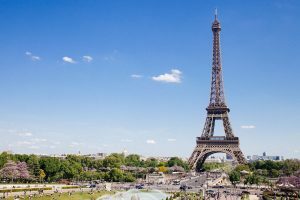 Walk around its charming streets next to the Seine, visit the Louvre, shop around the exclusive fashion shops, have dinner in a lovely restaurant (don’t miss the wine!) and climb the Eiffel Tower, for a unique experience. Or gather that bunch of crazy friends your mother kept advising you not to mingle with, and fly away to Munich’s Oktoberfest. Marching bands, thousands, (actually millions), of people, just having fun, lots of singing, dancing, eating and laughing, all the while holding a huge mug of beer in your hand. 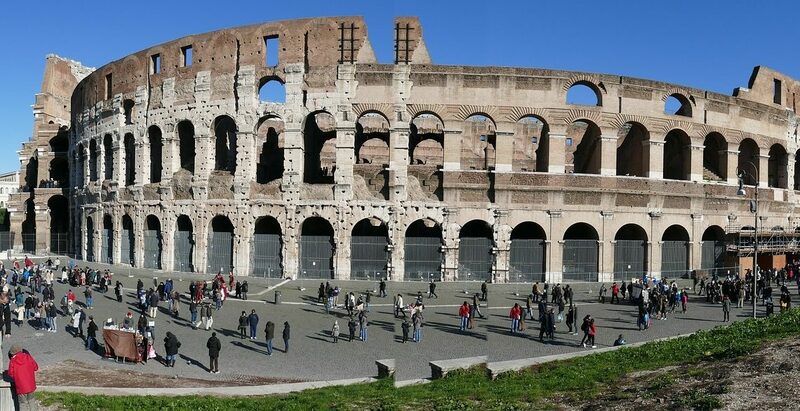 What about a visit to Rome? Apart from the magnificent Colosseum, or the imposing Vatican City, there’s also a multitude of churches and museums to see, the Trevi Fountain to make a wish at, a Vespa ride around narrow streets (better put on motorcycle helmets for this one, because traffic in Italy is, well, intense…) to take, and plenty of Italian ice cream to savour. Or take the family to Barcelona. 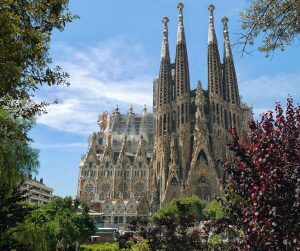 Whether art lovers or not, the Sagrada Familia won’t fail to impress everyone. A walk through Las Ramblas will make for a full day of discovery as well, and a short detour into the old neighbourhood can be squeezed in at will. A few hours at the beach, and a visit to one or two famed bars, will round up a couple of days of entertainment. So stop making excuses, and get going! There is nothing worse than falling sick when you are on holiday. 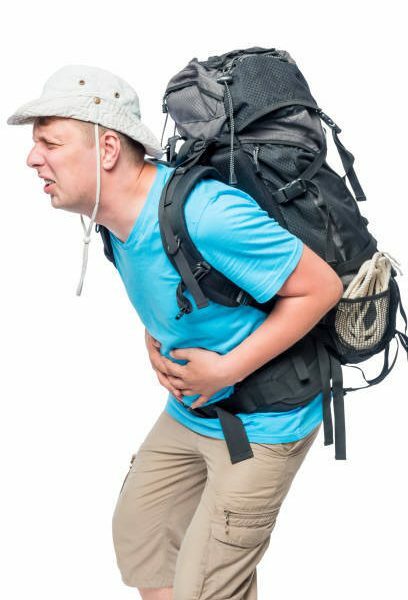 Many tourists often find themselves in this situation, and the question is always, where did you contract the sickness? Well, the truth is that in the most popular tourist destinations, there are high chances of contracting diseases because of the population, and many times, poor sanitation. There are some simple things you may overlook which cause diseases, and once you are ill, that will be the end of your vacation. In this article, we are looking at three do’s and don’ts when on vacation. Make sure to read them carefully lest you end up booking a Kry online doctor consultation for immediate advice. 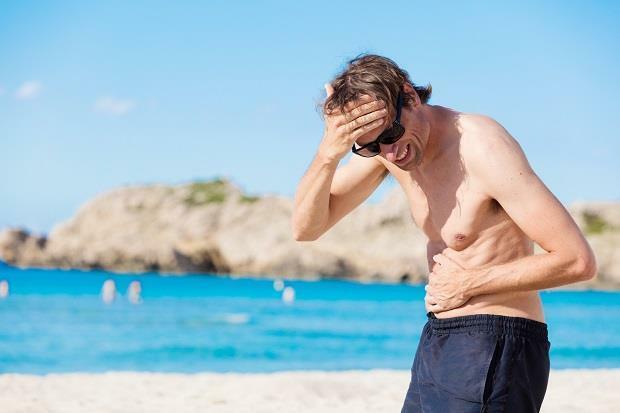 Dirty water is one of the leading causes of the ailments most tourists catch. Remember, it only needs a drop of infected water to put you down, so always ensure that what you drink is clean. You should carry your own water, preferably from your hotel. This is the same case for food. Eat out in hygienic food outlets. Avoid the open air food stalls as much as possible, because they can be a hub for cholera and other communicable diseases. Be careful of new cuisines that you haven’t tried before. Go slow on yourself, or you might end up stuck in the hotel room the next day because of an upset stomach. There is always some excitement when you are visiting a country with animals you haven’t seen before. Avoid interacting closely with any animal, especially without the supervision of a guide. Some wild animals may give you a forced bed rest by just touching them, or even coming close to them. In the same token, avoid any pets you might meet. You may be missing your dog back home and might find yourself showing unfamiliar pets some affection. Regardless of whether they are treated for diseases or not, avoid contact with pets in your holiday destination, unless you can be guaranteed that they are clean. There are many times you will come into contact with germs, so you should make sure to wash your hands often, with running water. This is especially true after visiting the toilet, as it is a hotspot for germs. After your day out, make sure to take a shower immediately when you return, and if possible, wash the clothes you were in, or quarantine them away for a thorough cleaning later. These are simple things that you need to be aware of when vacationing. Above all, prevention is better than cure. That said, you may want to visit your doctor before your departure, in case some vaccines are available to shield you from these diseases. A doctor will also advise you accordingly on how to enjoy your vacation without risking your health. The outline of Cornwall has been frequently described as a gripping claw. 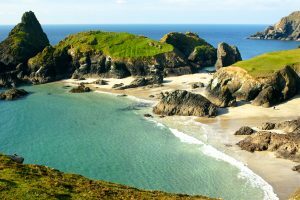 Although this initially may sound uninviting, Cornwall is one of the most attractive and romantic tourist destinations in Britain. If you follow Cornwall’s distinctive and intricately curved shoreline, whether on foot or by boat, your reaction will inevitably be very emotional. You will be mesmerised by the beauty of its nature and its jagged cliffs encircled by seagulls. There are quaint seaside towns, fishing villages, and lovely stretches of white, tranquil sandy beaches. Indeed, the Cornish Riviera will assault your senses with its splendours. Your imagination, however, will be beset by another kind of attraction. Cornwall is county rich in history and myths. Seaside locations like Tintagel, Merlin’s cave and Retreat of Mark, will beckon you to visit them. Even if you’re still not familiar with old legends, Cornish people are natural storytellers. You’ll soon hear all about King Arthur, Tristan and Isolde, pirates and sea monsters. 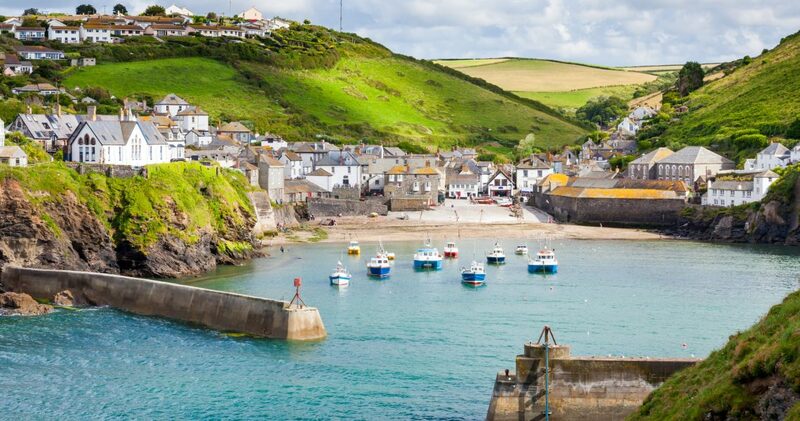 With such fascinating nature, wildlife and heritage, it’s no wonder that the Cornish Riviera has proved a magnet for all kinds of interesting and diverse people. If you chance to visit one of the old pubs that still stand invitingly in many coastal towns, you’ll likely overhear a few traditional sea shanties. They hauntingly talk about fishermen, adventures and smugglers, and reveal a fascinating part of rich Cornish history and its people. However, the Cornish Riviera has also drawn another kind of people. Perhaps you weren’t aware of the fact, but famous writers such as Daphne du Maurier, Virginia Woolf, William Golding and Winston Graham flocked to the Cornish Riviera. 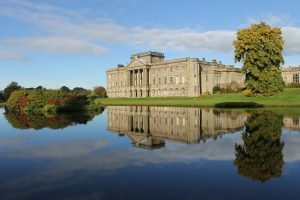 If you’d like to follow in their footsteps, and go in search of Virginia Woolf’s lost Eden , then you can easily adventure to their favourite haunts. Now, it may seem strange that the Cornish Riviera has attracted such divergent types of people at various points in its history. However, the tourists, smugglers, pirates, artists and writers all have one thing in common. None of them could resist the fascinating appeal of Cornwall’s shoreline. So what do you need to become an explorer of the amazing Cornish Riviera? Practically nothing, except the burning desire for exploration. Since the Cornish coastline has a varied terrain with rugged cliffs, hillocks and sandy beaches, you should invest in good footwear. Some sturdy walking shoes and flipflops are absolutely mandatory. Another extremely useful piece of equipment is a walking stick. Of course, you can opt for a modern trekking pole, since it will sufficiently support you on your walks across the amazing Cornish coastline. If you want to immerse yourself in the local atmosphere, a traditional Cornish walking stick with an elaborately carved head is even a better choice. Depending on your preference, you can find a local guide or explore the Cornish coastline by yourself. In either case, it’s a good idea to consult a few guidebooks and get familiar with the best locations. Even better, read a book or two by some of the famous writers who brought to life the beautiful Cornish Riviera. The Thorpe Park in Surrey is where you will find the dinosaurs. But, that is not the main attraction as you would think. No, the main attraction is the amazing and breath-taking Ghost Train which is a 15-20 minute ride. It includes illusions of dinosaurs running along, 4D special effects to make you feel you are being attacked and a couple of realistic live action figures. If you didn’t go on a wild on the Giant Condor, you have missed an experience in your life. The theme park, M&D, is situated in Lanarkshire and has a number of amazing rides like the inverted roller coaster, Tsunami, Big Apple, Tornado, and another roller coaster ride known as the runaway mine. If you have kids at your home then this is one of the most amazing theme park you will ever visit. Alton Towers is comfortably situated at the Staffordshire and here are some of the most famous rides from the theme park. Rita, Nemesis, and Oblivion. Their specialty is a roller coaster ride with virtual reality that will take your ride experience to a whole new level. The first tree tent in the UK, Red Kite Tree Tent is a small 3m sphere shaped ball that also contains a double bed. The double bed can be folded into a sofa. When you visit, you will be greeted with a food hamper. There is a freshwater stream nearby and you will find a campsite, toilet, stove, shower cubicle, and a sink at the location. The Scarlet Hotel is situated in Cornwall, and it is an amazing hotel to check in which is only open to adults. You cannot make reservations if your kids are with you. The Mawgan Porth Beach will gladly remind you of the glorious days that you might have spent in Australia. It comes with hot-tubs, campsite, swimming pool, ayurvedic spa, and amazing panoramic scenic views of the Atlantic Ocean in the background. Salcombe Hotel in Devon is another paradise on Earth for couples who are looking for romantic getaways. It comes with a sea view and private balconies where you can spend some quality time. The seafood is amazing and there is also a bar. 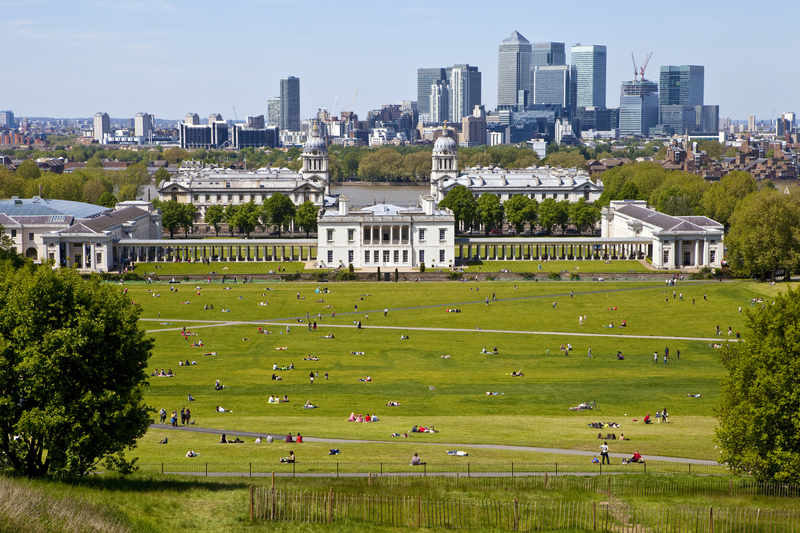 Have You Seen the Kew Gardens? 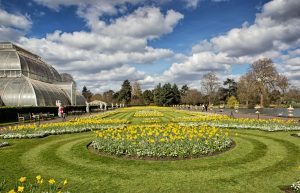 Kew Gardens is world renowned for being the largest botanical garden in the world. It is also a world heritage site. The mycological collection is the most diverse. 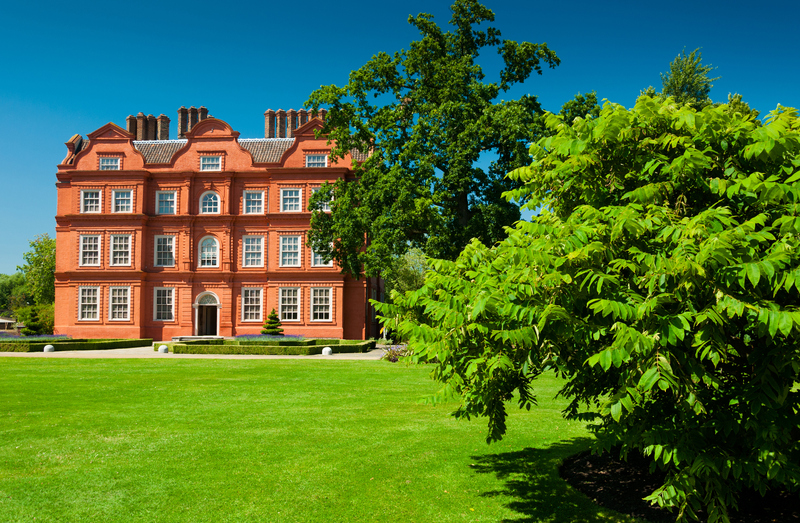 Kew Garden was first established in the year 1840 which was earlier known as the Kew Park. It houses more than 30,000 plants from around the world. Do visit the Herbarium which is known to house more than 7 million specimens of rare and exotic plants. There is also a library which is a dream come true for people who have interest in these things. The library has a collection of more than 750,000 volumes that are difficult to be found elsewhere in the world. 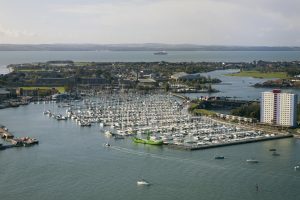 The whole place is managed by the Royal Botanic Gardens which is an international research and education institute of noteworthy importance. Needless to say, to manage such a huge place, they would need staff. This is why they have employed more than 750 people who work tirelessly to preserve the site in its natural state. 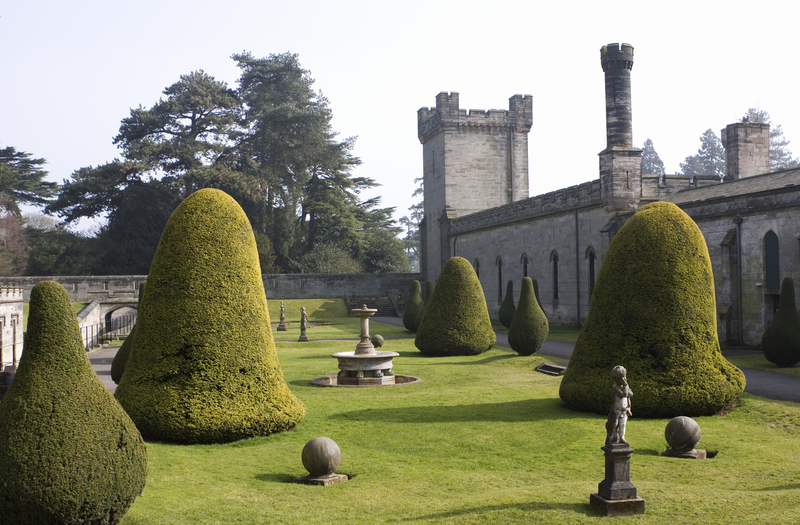 The whole garden is spread over an area of 300 acres and consists of glasshouses and gardens. You can spend the whole weekend here. 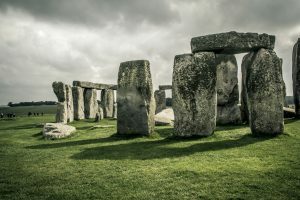 If you are visiting England for the first time, you must visit the Stonehenge. 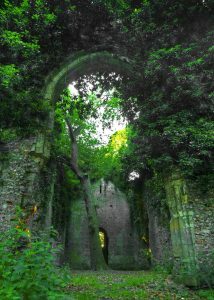 It is an archaeological marvel and there are no records whatsoever on what the place was used for or why it was built in the first place. It is one of the biggest mysteries. The construction of the Stonehenge first began in the year 3100 B.C. which is known as the first stage. Ancient men created a circular ditch which some people believe was used for burial while others believe that it was used for rituals. Inside the ditch were circular Aubrey holes and an earthen bank. The construction on the site was then abandoned for more than a 1000 thousands after which it began again, known as the second stage. It began around 2150 B.C. where 82 bluestones, weighing as much as 4 tonnes, to the site. These stones were carried for about 300 kms to the site. These stones were used to create the double circle inside the Stonehenge beginning at the centre of the site. 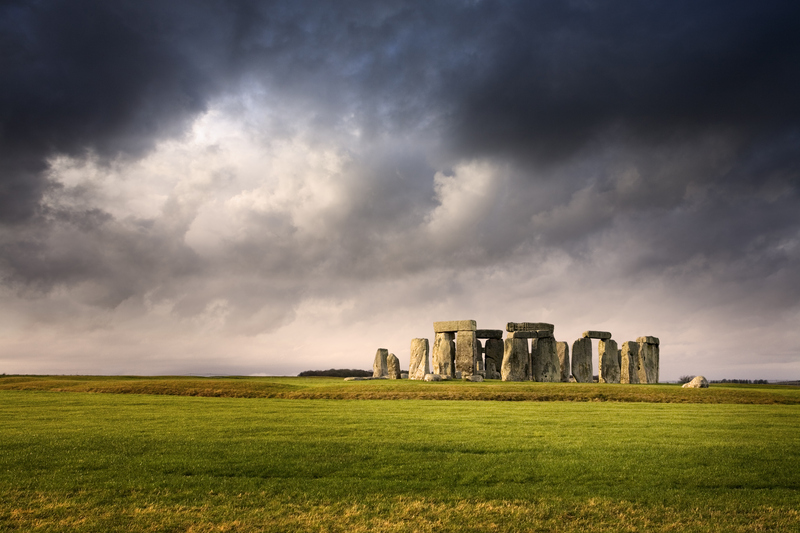 The Stonehenge is open to visitors all year round and is one of the top tourists destinations in England. This is among the largest departmental stores in the world. There is more than a million sq. ft. of retail space for you to cover with more than 330 stores. It can hold as many as 300,000 visitors at a single time. 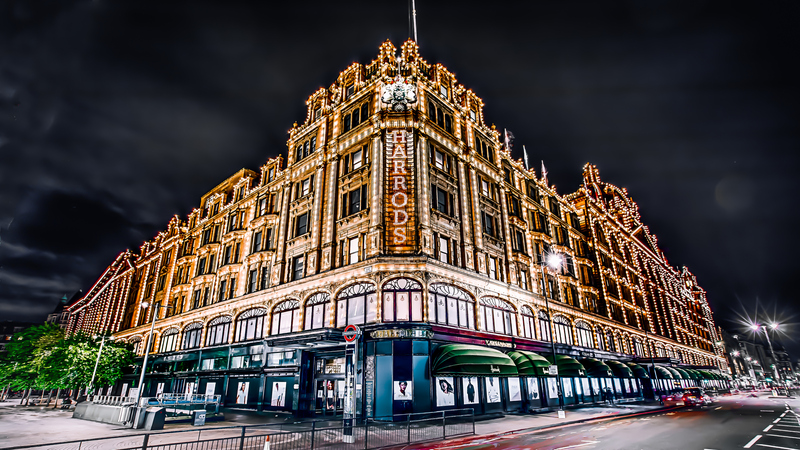 The food hall at Harrods is world famous and offers gourmet food and delicacies from all over the world. One more good reason to visit is the huge discounts they offer twice a year on prestige items. Among the former bosses of this palace are names like Henry VIII, Elizabeth I and Cardinal Wolsey. This beautiful palace was developed from humble beginnings during the 11th century to one of the biggest palaces worldwide. 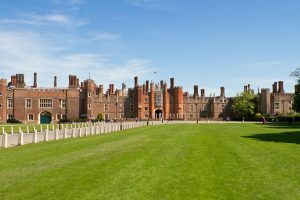 Visitors are usually given introductory exhibitions, costume guided tours and even a chance to check out the Queen’s and King’s state apartments. Another majestic sight here is the Great Hall which has some lavish tapestries. 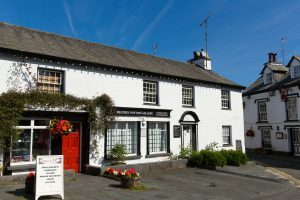 Some of the most beautiful illustrations by Beatrix Potter came from the market town of Hawkshead. Beatrix also has a house in the area which is now an exhibition hall with all her original water colours and sketches. 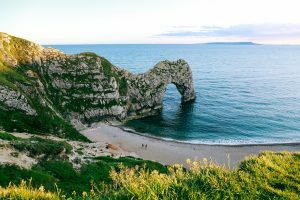 This is a rare attraction and is located at the Isle of Purbeck. Gorse, heaters, and trees enclose the pool which changes colour regularly from turquoise to green. It is quite appealing and also has a 26-acre lake which is semi-enclosed by the woodlands. This is certainly an ideal place for a quiet romantic cruise by rowing, pedal boat, or motor-boat. At the end of the day, traveling to the UK can be quite an exciting experience but only when you do it right. There is no point in visiting the UK, staying in your hotel room and then going back home. It’s the biggest waste of a holiday imaginable. So, whenever you are planning a trip to the UK, make sure you include the above-mentioned places. They will change the way you think of the country for sure. Planning is very important and booking tickets are even more when you are traveling.